Motor Trade Insurance is quite simply a policy designed for individuals or businesses engaged in the Motor Trade, from Car Dealerships to MOT Testing Stations to Body Repairers to Windscreen fitters to Mobile Mechanics. Although Prizm Solutions is based in Tamworth, Staffordshire we are trusted insurance brokers to businesses all over the Birmingham area and throughout the UK. Our approach is to help our customers understand the different types of insurance available and advise them on the type of Motor Trade Insurance they need. There are two primary elements of cover which differentiate this type of policy from most other types of insurance policy. The primary one being Road Risks insurance. As well as covering you to drive your own vehicles for business and pleasure, Road Risks insurance allows the policyholder and/or approved persons to drive customers’ vehicles for motor trade purposes. It does not and cannot cover persons to drive for non-motor trade activities. To do so would leave the driver and vehicle both uninsured. The reason why we stress this is because there are many common misconceptions about this type of insurance. Non motor traders should not even consider buying this type of policy as it’s not suitable and it is NOT a cheap way to insure vehicles! Even motor traders think they can drive any vehicle, anytime, anywhere for any reason they deem fit – and they can’t! Because we are experts in this type of motor trade insurance we will ask the relevant questions and if this type of policy is not suitable we will recommend alternative types of policy instead. If you are engaged in the Motor Trade you will in most cases need both of the above. A Motor Trade Insurance Combined policy can cover many risks your business will be exposed to. The most important of these is Employers Liability insurance . If you employ anyone, be it on a casual, permanent or even voluntary basis you are responsible for their wellbeing. Failure to insure against them being injured is a breach of the Employers’ Liability (Compulsory Insurance) Act 1969 which could expose you to a fine of up to £2,500 per day. Public Liability covers injuries to damage to third parties and/or their property and although it is not a legal requirement, it would be extremely unwise to operate a business without this aspect of cover. A Motor Traders Combined insurance can also cover all of your physical assets against loss or damage. This could include the Building, all of your Contents including Portable Hand Tools, Customers and your Own Vehicles, irrespective of them being inside your premises or in the open. When looking for motor trade insurance Motor Traders should always consider buying ‘what if’ protection too. What if a fire occurred? Yes, the insurer will reimburse you your physical losses (assuming you are correctly insured of course) but what about the lost profits? Unless money keeps being pumped into a business it is pretty much guaranteed all of your best staff will have left and/or your best customers will too, so you’ll need your income to remain unaltered until you’re back fully trading once again. The same scenario applies to one man bands and small businesses. If you (or your key employee) breaks a leg and cannot work, who brings the money in? We would always recommend Personal Accident insurance for sole traders because we have seen businesses fail because they were physically unable to work. The policy of this nature can be tweaked to cover all sorts of additional types of insurance such as Goods in Transit, Machinery Breakdown, Terrorism and loss of Cash/Money. A frequent extension to a policy will be Engineering Inspection which will ensure you meet with your legal requirements by having your plant/machinery independently inspected by a competent person. If you are looking to take out motor trade insurance for the first time, or you are looking for a renewal please contact us for independent advice. And, you may be surprised to hear is that we are a bit different to most insurance brokers offering motor trade insurance, and indeed any kind of insurance, because in most cases we don’t take a commission from the insurance companies for placing the business with them. Instead, we prefer to work on a fee basis so that our earnings are transparent and as an ethical business we feel happier to operate this way. 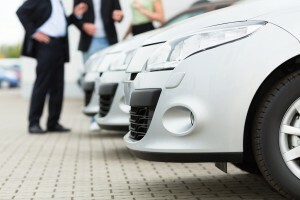 Whether you are the Director or Owner of a business contact us for advice on your motor trade insurance and you can be assured of our expert advice and knowledge of your business sector. Please get in touch to arrange a call back or to email us if you would like a quotation.